Fairmont Southampton has introduced its “3-3-1 Challenge,” coming this fall, which will allow those who partake in three courses at any of the resort’s restaurants, three times between October 15 to December 15, receive a complimentary night at the hotel. 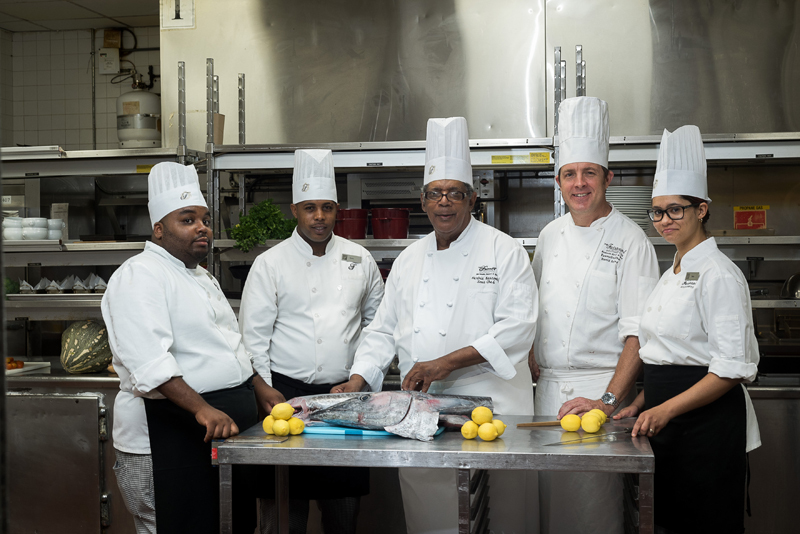 A spokesperson said, “It’s no secret that some of the destination’s most popular restaurants can be found at Fairmont Southampton, and this fall island residents are invited to take part in a dining challenge and experience firsthand some of the top culinary talent in Bermuda. “The resort’s dining destinations include something for every palate and every mood from the award-winning steakhouse Waterlot Inn and the vibrant atmosphere of Newport, A Gastropub to Italian specialties at Bacci and the casual atmosphere of Jasmine Lounge. “The 3-3-1 challenge is a wonderful way to bring locals in to experience the creativity of the culinary team,” said David Ansted, Executive Chef. 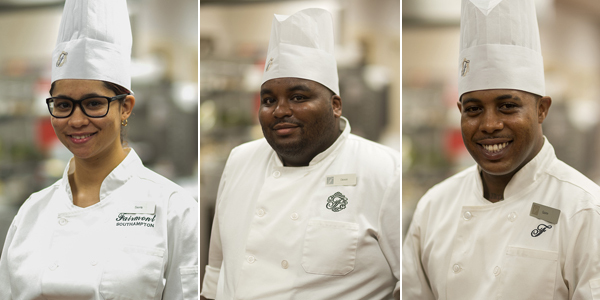 “We’re particularly proud of the work of the colleagues in our Chef Apprentice Program. “The Chef Apprentice program is led by Sous Chef Herbie Bascombe, who heads up Windows on the Sound. The four year program is run in partnership with the National Training Board, which is part of the Bermuda Government Workforce Development Department. 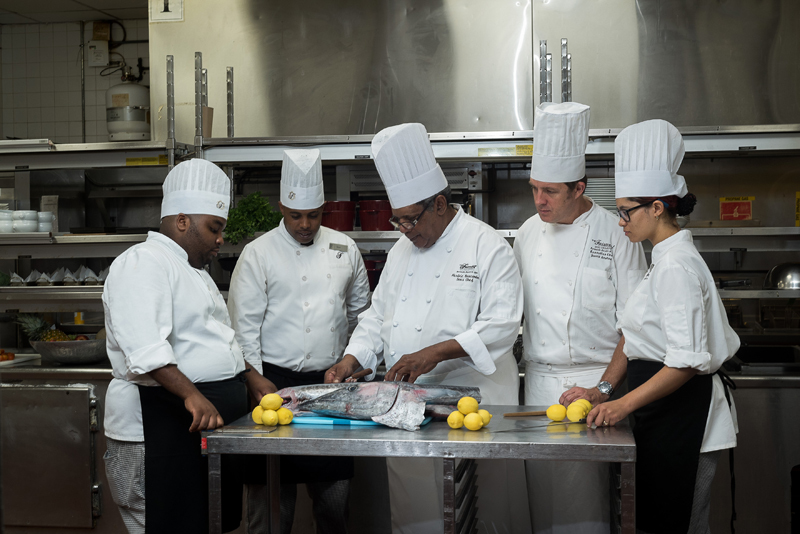 “Currently four Chef Apprentices are enrolled in the program and two graduates of the program now hold positions in Fairmont Southampton’s culinary department. Growing local culinary talent is not limited to the Chef Apprentice Program; Sous Chef Herbie also mentors a high school student from the Cedarbridge School. “With ten Bermuda restaurants in our oceanfront resort serving cuisine and cocktails for all tastes, Fairmont Southampton offers guests a variety of culinary creations. 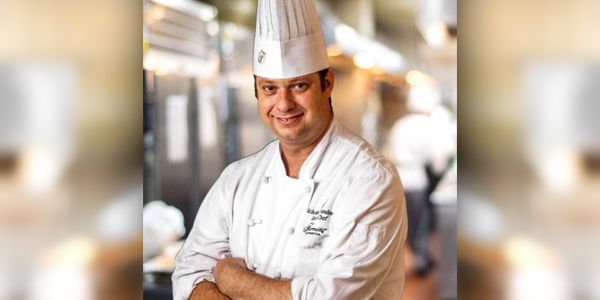 “Executive Chef David Ansted heads up the entire creative culinary team at the resort, which includes 110 chefs and 60 stewards from 16 different countries. 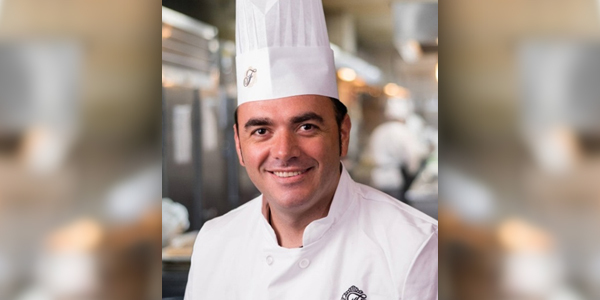 Since he joined the resort in June 2014, he has been in charge of the resort’s culinary strategy and leadership for all culinary staff, including 9 Sous Chefs and 11 chefs. “His exquisite journey started with his first role in a restaurant at the young age of 14. Since then, he has worked with some of the world’s best chefs, leading hotels and award-winning restaurants – including the St Regis Singapore, Shangri-La in Taiwan, India and China, as well as 3-Michelin Star restaurant Fat Duck in England, among various others. “With ten Bermuda restaurants in our oceanfront resort serving cuisine and cocktails for all tastes, Fairmont Southampton offers guests a mouth-watering array of culinary creations. 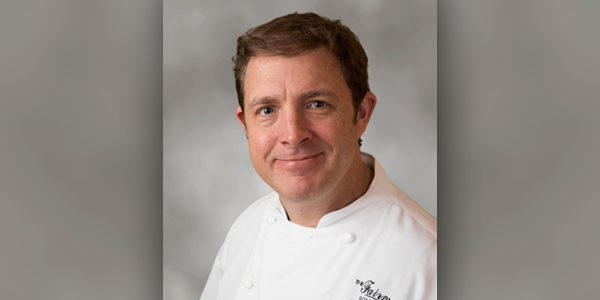 “Executive Sous Chef Harris Sakalis oversees all culinary operations for all of our restaurants and banquets. Chef Harris is originally from Greece but, recently joined us from The Rosewood Hotel in Abu Dhabi. Prior to working at Rosewood Hotels in Abu Dhabi and Antigua, he was the Head Chef at Excelsior Hotel Thessaloniki, Greece. “Every guest with a ‘sweet tooth’ will certainly taste one of the luscious dessert creations of our Pastry Team while staying with us. Whether it is the luscious breakfast waffles at Windows, a mouth-watering dessert at one of the restaurants or gluten-free cake at Wickets Coffee Bar – Fairmont Southampton’s Pastry Team is offering delectable pastries at 10 dining destinations around the resort and through In-Room Dining. “Eric Fernandez heads up ‘all things sweet’ as our Executive Pastry Chef. Before joining Fairmont Southampton in 2016, he has held other respectable senior positions as Executive Pastry Chef at the Crown Hotel in Perth [Australia], Beaches Resorts / Sandals in Turks & Caicos Islands, as well as Bahaia Hotel in the Dominican Republic. “In addition, he has topped his career with additional experience in Canada, Mexico and the USA. Chef Eric has furthermore ‘drizzled’ a position as culinary arts teacher at the Escuela Culinaria Internacional School in Mexico onto his well-rounded profile. “The only thing we overlook at breakfast is the ocean. Windows on the Sound’s bountiful buffet features made-to-order omelets, Belgian waffles, smoothies, breakfast pastries, breads, and other morning delicacies – all just steps from the main lobby. 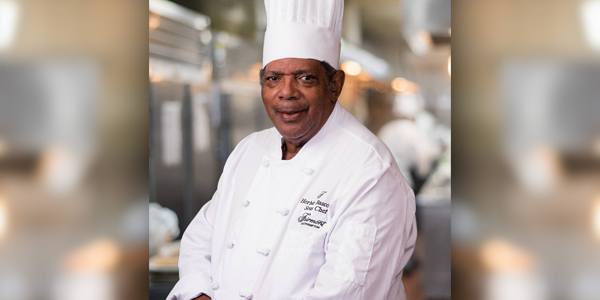 “Chef Herbie Bascome can easily be described as a national icon of Bermuda. Being a true Bermudian, he adds his very own flavor to the signature Bermuda Sunday Brunch at Windows, which features authentic local dishes such as codfish and potatoes, Johnny bread, and cassava pie. His culinary influence does not stop after the first meal of the day: You can find his menu items all over the resort, with island classics ranging from fish chowder to shark hash. “Defining Bermuda’s steakhouse experience for nearly 350 years, the historic Waterlot Inn remains Bermuda’s best. Gracefully nestled dockside on Jew’s Bay, the sophisticated restaurant offers breathtaking sunsets and proudly boasts both AAA Four Diamond and Wine Spectator Awards. “Serving the finest steaks and chops, this classic dining room has introduced a newly updated and inspired menu that spans time-honored signature specialties and incorporates bold new flavors. 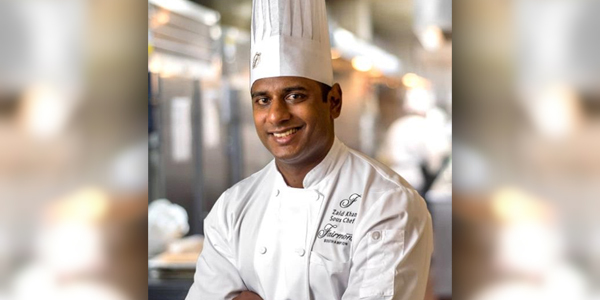 “Chef Sumeet Kurmi leads the team at The Waterlot Inn and ensures that his team of chefs continue to serve Bermuda’s best steaks. Chef Sumeet began his culinary education in Monte Carlo at The Ramaiah School of Hospitality. After acquiring precious knowledge of professional culinary trends from famous French Chefs, he moved to the Grand Cayman Islands in 2007 to work at the Ritz Carlton. “Let your hair down, take off your jacket and tie, and experience The Newport, a Gastropub. Take an imaginative, innovative culinary adventure featuring modern and creative cuisine inspired by the classics. Our comfortable, energetic atmosphere lends itself to watching major sporting events while enjoying friendly service, great food and a creative line-up of handcrafted beers and fine wines. “Start off with the charcuterie station and fresh raw bar and then explore our original menu that draws upon locally-sourced products and modern versions of classic dishes served with a twist. “Nicholas Vandeweg is heading up Newport’s culinary team as Sous Chef. 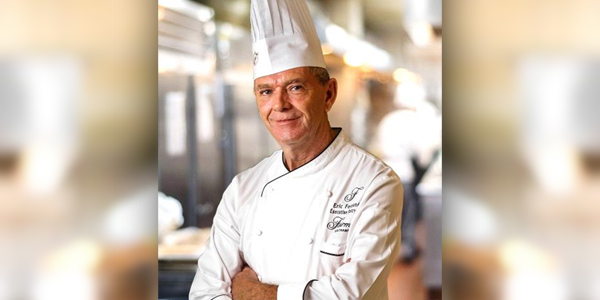 Before joining Fairmont Southampton in 2007, he received his diploma from FIT for culinary arts. 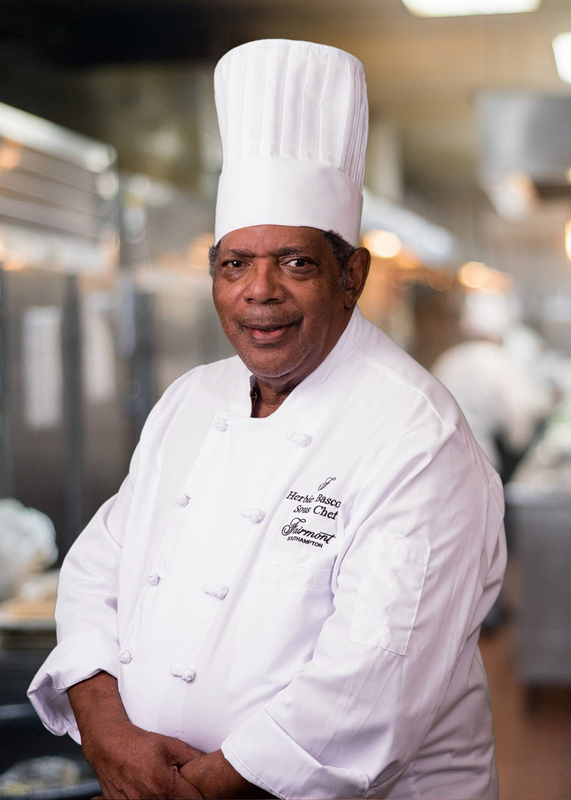 Chef Nicholas is a native Bermudian who often spends his free time meeting local farmers and fisherman to source Bermuda’s best cuisine. “Jasmine Restaurant is the place for the quintessential martini. Elegant and relaxing, it is the ideal spot for meeting, greeting or simply relaxing, any time of the day. Your favorite cocktails are served throughout the day along with an elegant selection of light entrées, snacks, sandwiches, salads and sinful desserts. 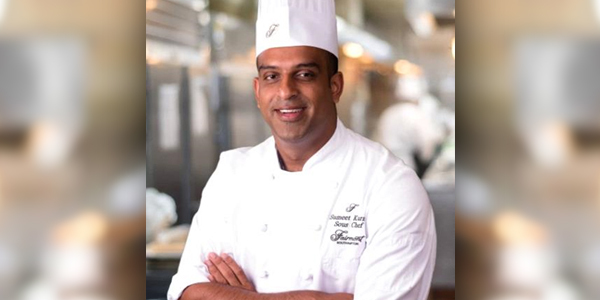 “Chef Zaid Khan is in charge of all culinary creations at Jasmine Restaurant and In Room Dining. He is originally from Fiji but, came to Bermuda in 2012 from Canada. Previously he worked as Chef De Cuisine for Island Restaurant Group in Bermuda. His culinary career has brought him to Australia, Canada, and Alaska. He graduated from Cotah College of Tourism and Hospitality in Brisbane, Australia. “Great seafood simply prepared and served surfside. There’s nothing better. The Ocean Club combines the freshest local catch with the relaxed atmosphere of this sea side setting. Bask in the sun, enjoy the spectacular ocean view and let the breaking waves be your soundtrack. “Bermuda’s best ocean views are just as much a part of this experience as the seafood. Stroll from the beach to indulge in a scrumptious dinner with a cold, crisp glass of wine or a frosty beer. 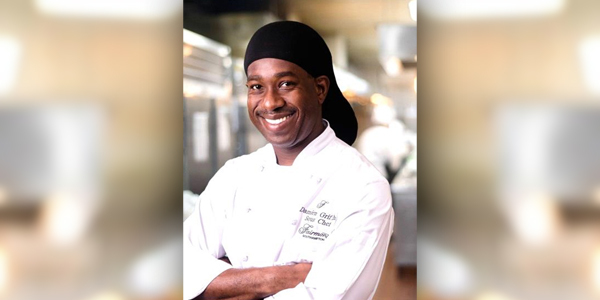 “Damien Griffith is Fairmont Southampton’s seafood specialist. Having joined the Fairmont family 5 years ago, he is originally from another island paradise: Barbados, where he worked at The Cliff restaurant – one of the World’s Top 50 Restaurants.